Ideally, you have an aerosol de-icer on you. It’s cheap and portable. But let’s get real. You can barely keep track of your wallet, let alone a can of de-icer. 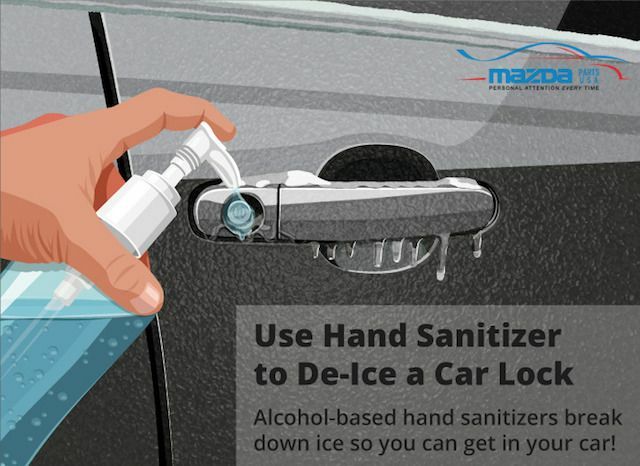 So take some advice from George Davi, a locksmith at Locksmith Brothers: Squirt hand sanitizer into the lock to help melt the ice and then jiggle the key. 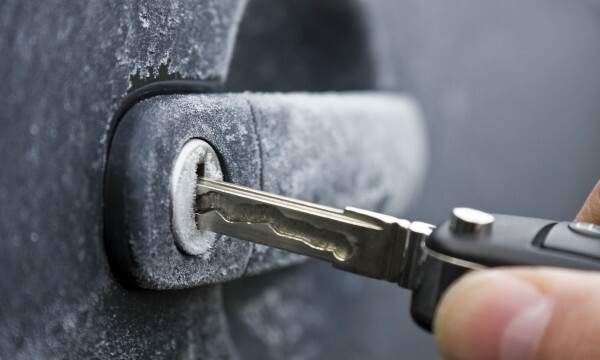 Also, depending on how icy the lock is, you might try heating up your car key with a lighter to loosen things up. Now, just hope your car starts. Kitty litter would not be Frank Chambless’s first choice to provide traction for tires: “You don’t want to get to that point unless there’s nothing you can do.” But the mechanic at Fran’s Auto Repair in South Boston said if you find yourself in a slick spot, litter can do the trick. When temperatures plunge, keep a bag of (clean) litter in the back of your car to spread under a tire to improve grip. Another hack: To prepare for the onslaught of snow from the “bomb cyclone,” consider covering your (upright) windshield wipers with a pair of old socks so the blades don’t cake with ice. Doesn’t look pretty, but it gets the job done. As any hiker worth her salt knows, cotton kills. It gets wet, stays wet, and does nothing to wick away moisture. 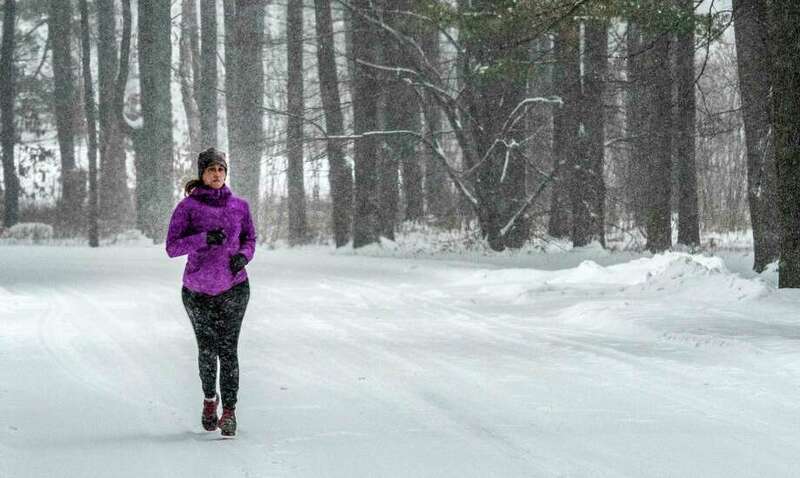 So wear a pair of wool socks, maybe even two, under your boots to keep your toes dry in the bitter cold and snow. For additional protection, slip a plastic grocery bag — or even a plastic slider bag — over your stocking foot before slipping on your boot. So says Chuck Blanchette, director of camping with the Boy Scouts Spirit of Adventure Council, which oversees troops in Boston and the northeastern Massachusetts region. “It provides an extra layer and holds in the heat,” he said. Then, once you’re home and need to get your boots dry quickly, cut up a foam pool noodle, stuff a section into each boot shaft, and put the boots near (but not too close) to the heater. The noodles keep the boots upright and allow air to circulate. To view full article visit Boston Globe. Next PostNext Some examples of an exchange are: Bitstamp, Poloniex, BTC-E, Bitfinex, Kraken, Bittrex etc.